More and more often, I find short films that truly deserve a full review, alongside any of the most mainstream movies out there. The Guest is just such a movie that deserves its very own cinema showcase here on Space Jockey Reviews—and many other review sites out there. The Guest, in its 14-minute running time, packs as much punch as most movies running much longer. 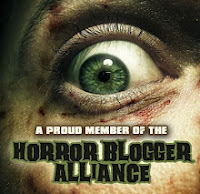 Suspense, dread, character development, plot, and all other essentials are generously included to make one seriously effective piece of horror that is sure to surprise all of those expecting the "same ole same ole." In a world with so many predictable horror clichés, The Guest is one seriously welcome visitor! As The Guest begins, we see the outside of any-house USA, and hear the familiar neighborhood dog and chirping crickets. Inside, we see a girl—it could be any girl—washing dishes, in a dimly-lit kitchen, with the sights and sounds of a horror-movie victim in the background. Yes, we feel vulnerable already, because it’s all so familiar. Even if we don’t watch horror movies while washing dishes, the scene makes the viewer familiar enough to be a part of it. The horror movie only makes us feel, reluctantly, a part of something dreadful ahead. Suddenly, the news breaks to report a manhunt underway for—you guessed it—a man responsible for attacks and disappearances in the area! I know, by now you’re thinking you’ve got this one all figured out. But, trust me, you don’t! If I say any more about the plot, I’ll ruin the film. So, from here I’ll try to ramble and confuse you a bit, discussing things in a round-about, somewhat irritating way—that is until you finally appreciate not knowing, while watching the movie I know you’re about to watch (wink, wink). The first eye-popping essential in The Guest is the first-rate acting of Alyshia Ochse and Robert Seay. Alyshia plays Dana and Robert plays “The Man.” Alyshia has previously played the role of Irina Cassadine on the soap opera General Hospital, and I admit that I had never heard of Robert Seay. These two actors are a very talented pair indeed; together, they make The Guest the success that it is. Alyshia Ochse is as natural as any of the most seasoned professionals I’ve seen in horror films. She is totally believable in every nuance of the part she plays as Dana, bringing the character alive in every scene. As the vulnerable girl alone, her emotions, expressions, and fears are real enough to make us forget it’s a movie and she’s just a character in it—at least for some time, before our left brain yanks us back again. (Unless you’re one of those film-watching conservatives who keeps chanting, “It’s only a movie, it’s only a movie….”) I actually can’t say enough good things about Alyshia’s acting, and I was blown away by her performance—especially with her ability to transform her character so completely! She's so authentic as an actress that she makes us feel as if we know Dana, whether we want to or not! 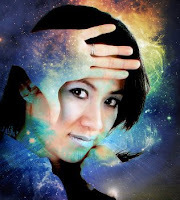 Dana is a complex character, and Alyshia fleshes out those complexities very nicely. As for what else Alyshia’s acting talents fool us with, I’ll leave that to surprise you later. Let’s just say that she easily takes her place on the pedestal of short-film leading ladies! I predict that we'll be seeing a lot more of Alyshia, and she'll be taking lots more pedestals wherever she goes! Yes, Robert Seay (mentioned earlier) also does a knockout job in his role as “The Man.” Even with such a generic credit title, Robert is no such generic actor. He does a great job of keeping us confused about who he is, whether he's one type or the other, while making us wary of his stereotype at the same time—over and over, right down to the screaming, bloody end of it all. Oops! Did I just say (I mean type) “screaming, bloody end”? Yes, I did! Well, at least I didn’t say who is screaming and who is bleeding. Again, I’ll leave that for you to see and…yes, hear…in the end. The Guest is produced by Upstart Filmworks and Final Girl Films in association with S.L. Productions and Busted Buggy Entertainment. (In an interview with Alyshia Ochse, I learned that S.L. 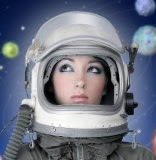 Productions is actually Alyshia's own production company.) The Guest was written and directed by Bryan Ryan. Hollywood would do well to take notice and give Bryan a call to do a few films. Like the actors in The Guest, Bryan’s talents are as professional as I’ve seen. His objective use of the camera never reminds us that we’re seeing it through anything else but our own eyes. The movement is fluid, natural, and just as we’d see it, if we were really there to see it. Yes, some directors keep making us think of the camera—the mechanical, technical nature of it all—but Bryan doesn’t. Okay, I know you’re probably wanting to know how much blood and gore there is in the The Guest—either because it’s a plus or minus in your thoughts about watching it. My guess is, if you’re reading this, you’ll probably add a plus when I repeat the cliché, “Yes, there will be blood.” But wait! Don’t get too excited. It’s not excessive. It’s mostly in the faux-horror-movie scenes playing as background, and copiously in another scene that makes you wonder whether it’s in the movie or elsewhere—perhaps outside your own home? Wait again! Did I just say “copiously,” after saying it’s “not excessive”? Yes, I did. But, I think it’s because I’m trying to confuse you again, so you’ll be more surprised when you watch the movie. Yeah, that’s it (wink, wink). Special effects are also very well done, with the look of someone or something I won't describe (so as not to spoil it) having the effect of something on a much higher budget. You won't see it coming; but when it does, you'll know what I'm talking about. Overall, The Guest is a smaller budget movie with bigger budget effects. Regardless of the cost, they're certainly "special," as well. The Guest is another of the best short horror films I’ve seen, with an ending that’s far from predictable! In a little over 14 minutes, it develops characters better than most films do in an hour and a half and packs as much suspense as well. What’s more is that the acting is so substantial and exceptional that it further helps this short film seem more like a full-length feature. 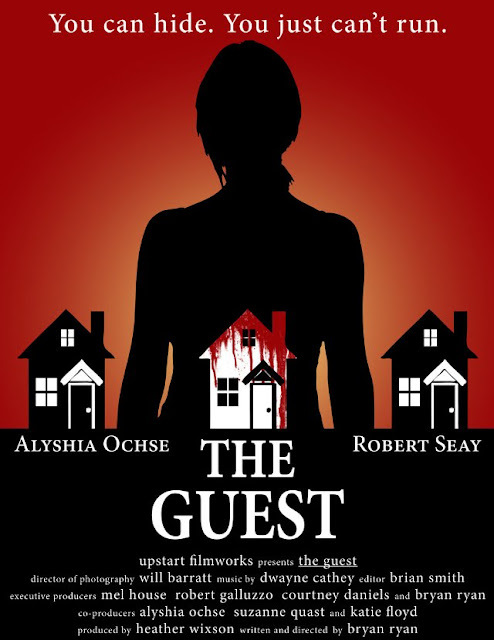 I look forward to seeing more from Bryan Ryan, Alyshia Ochse, and Robert Seay; The Guest proves them to be quite a talented trio indeed! In the meantime, enjoy The Guest in all of its 14-minute entirety, right here on Space Jockey Reviews; just make sure you don’t stay too long! Watch The Guest on my website by clicking here, or visit the “Short Films” page there to view it in a slightly larger format. Either way, I can think of many less productive ways to spend 14 minutes of your life—and I mean a list long enough to span light years of interstellar length! Besides, if I don’t stop here, you’ll spend more time reading the review than watching the movie. That just wouldn’t be right…would it? Enjoy! For an in-depth and very interesting interview with Alyshia Ochse on Dread Central, click here! 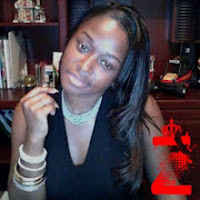 Visit Alyshia's Facebook page by clicking here! See her IMDB page by clicking here! Of course, watch the film first! VIEWER DISCRETION IS ADVISED!